These pillows are adorable! 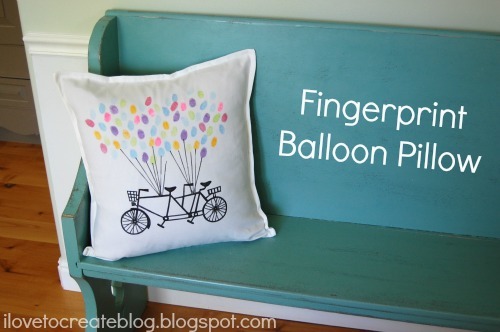 I could see the fingerprint balloon one being a great gift for grandparents! Cant wait to see the sign! Love the fingerprint balloon too--so cute! 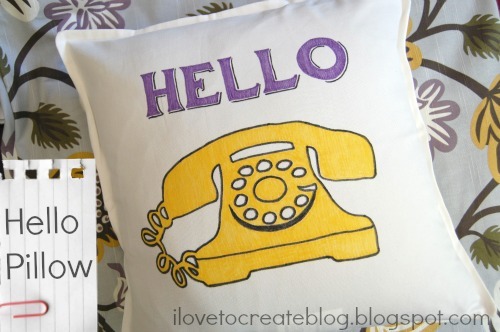 Oh my goodness, I am loving those clever pillows! They add such a cute, fun little "pop" of color. The pillows are absolutely adorable and I love the color scheme!!! I can't wait to see your sign. You got very lucky when you found that fabric, you rarely see green and gray together! I LOVE the fabric and the panels you two came up with are adorable! And the pillows are so fun! Can't wait to see you art!